Caregivers may feel frustrated when their elderly loved one begins showing symptoms of incontinence. To make matters worse your loved one may feel embarrassed by his or her accidents, and avoid scheduling a doctor’s appointment. They may even be unsure of whom to see: a primary care physician, a nurse practitioner, or a urology specialist. However it is important for both caregivers and the senior’s in their lives to know that the best reason to see a doctor is this: elderly urinary incontinence is a very treatable condition. A thorough physical exam, including a rectal exam and a pelvic exam for women and a urological exam for men. Sometimes, a patient will be asked to bring a bladder diary to the first visit, or create this before his or her second appointment. 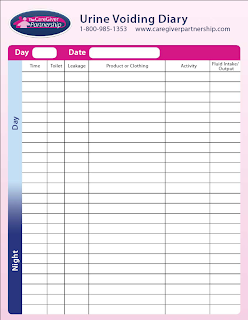 In this journal, a patient will record what they drink, when they urinate, how much they urinates (this is done by placing a special “measuring cup” over the toilet bowl to record volume), and a description of any accidents. Caregivers should be aware that if the medical provider, skips any of these important steps, they may want to consider finding someone, who is willing to evaluate your loved one’s situation properly and completely. Post void residual: This test is done after urination. An ultrasound wand is placed on the abdomen, creating a bladder scan to show if any urine remains, or a catheter is placed into the bladder to drain, and measure any urine that is left. Uro-dynamic testing: A catheter fills the bladder with water. This test measures the pressure in the bladder when it is at rest, when it’s filling, and when it empties. This test looks at the anatomy of the urinary tract, the functioning ability and capacity of the bladder, and what sensations the patient feels. Cystogram: During this test a catheter is inserted, through which dye is injected into the bladder. An x-ray is then taken while the patient urinates, highlighting the urinary tract system. Cystoscopy: Using a small telescope the doctor views the patient’s bladder, checking for capacity, tumors, stones, or cancer. Caregivers should be aware that after a diagnosis is made, a treatment for elderly urinary incontinence can include behavioral therapy, medications, medical devices, and surgery. It is important to remember that most of the time, incontinence is treatable, and most cases respond well to non-surgical treatment. Treat the individual with respect and dignity. Be understanding and reassuring when accidents occur. Establish a routine; for example, take the person to the bathroom every two hours while they are awake. Try to respond quickly to an individual's request for the bathroom. Watch for non-verbal cues, such as facial expressions or tugging on clothing. Avoid caffeine and other stimulants in the evening. Incontinence can be an overwhelming issue for caregivers to deal with. For help in selecting products and gaining information, caregivers should check out Caregiverpartnership.com at http://www.caregiverpartnership.com/incontinence-product-finder. 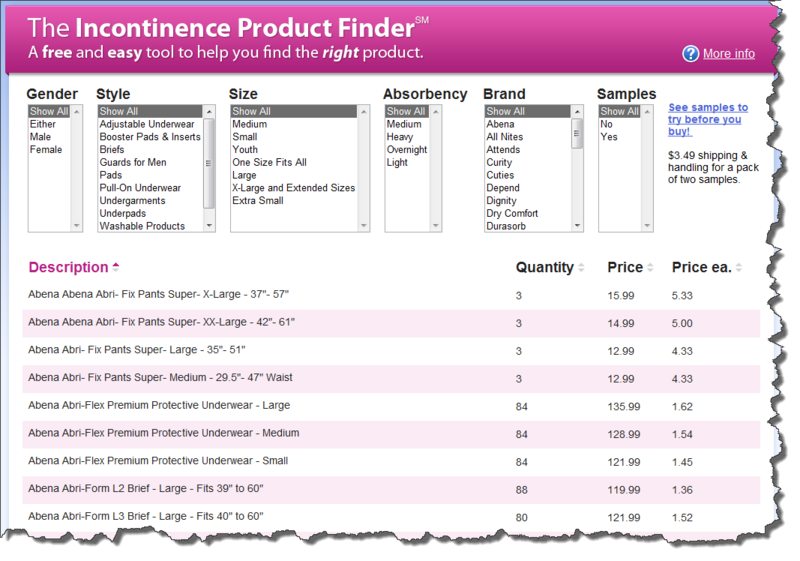 This tool can help you in determining what products are right, for the needs of the loved one in your care.